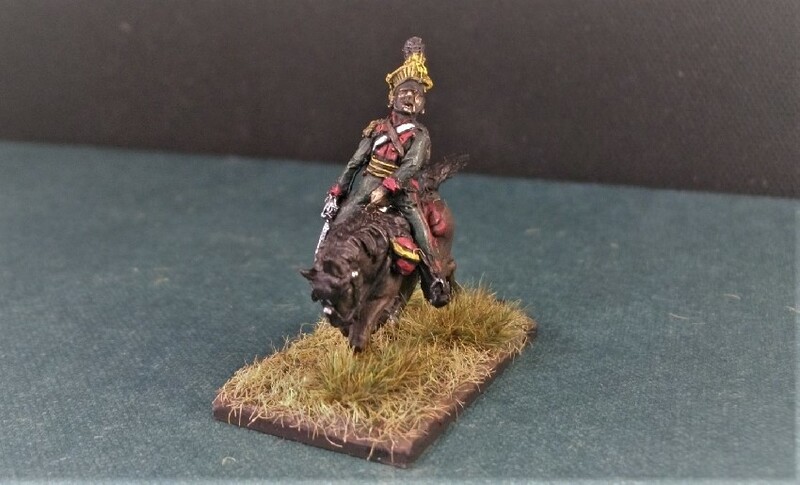 Hello - I've painted another regiment for the Napoleonic Cavalry Project - the Austrian 1st Uhlan Regiment (Merveldt's Uhlans). 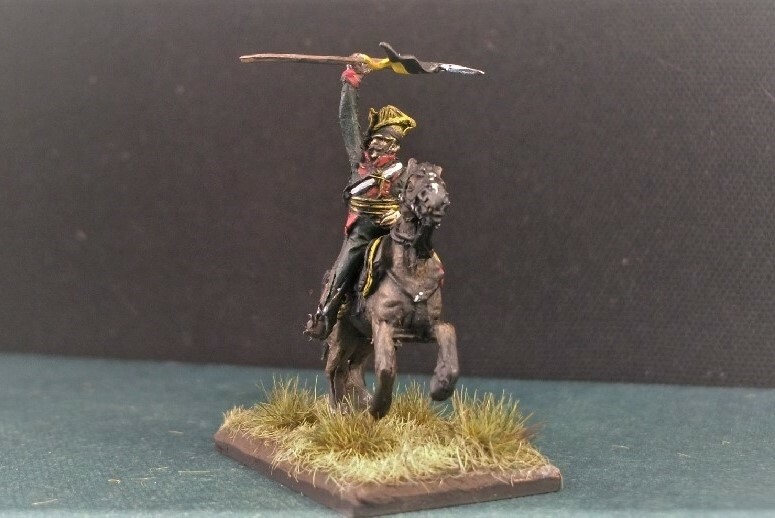 I've had a go using some of Mars Uhlans (1805-1815). I know there are some mixed views about Mars the manufacturer but I felt there was something about this set possibly worth exploring (some of the figures had unusual poses, for example). 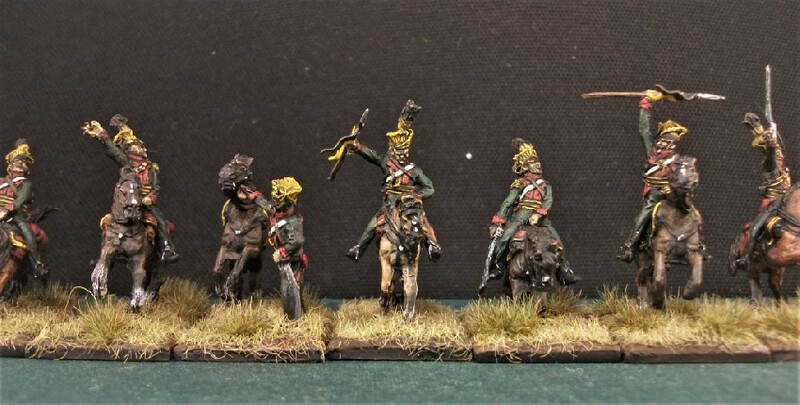 I say a bit more about them on the blog (and offer a regimental biography too). You have taken frankly horrible figures and turned them into masterpieces. Thanks for sharing these with us. 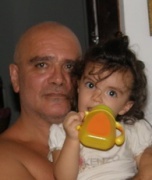 Bluefalchion wrote: You have taken frankly horrible figures and turned them into masterpieces. Thanks for sharing these with us. Thank you! I guess I like a challenge! You are absolutely right! Super, Marvin! 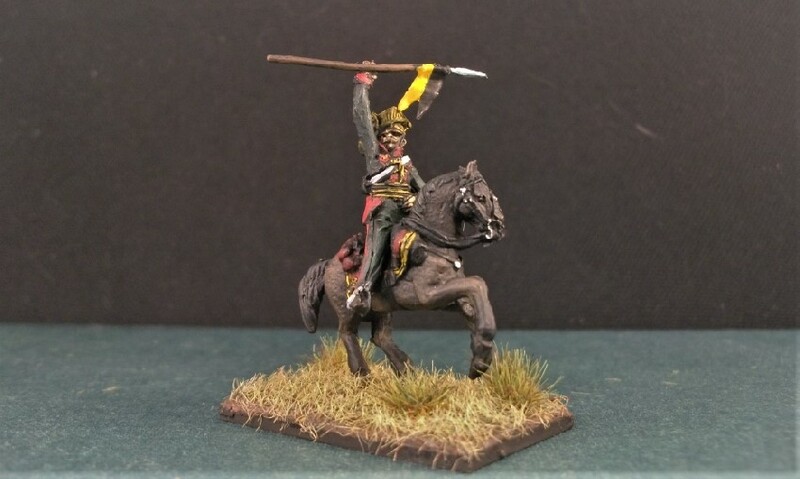 Why did you not use the Brunswickers as Austrian lancers? Ok, they have Hat standard poses but are convertible with spare arms. Your skills could do much better results on these. You have performed a miracle in bringing these guys to the standard shown. Well done, super work in my opinion. The biggest challenge I had with Mars figures was putting them back into their boxes. Where they stay to this very day. I couldn't help but agreeing with what many said above: ugly figures turned into eye-candy. Though, I have to admit that the poses are somehow intriguing. 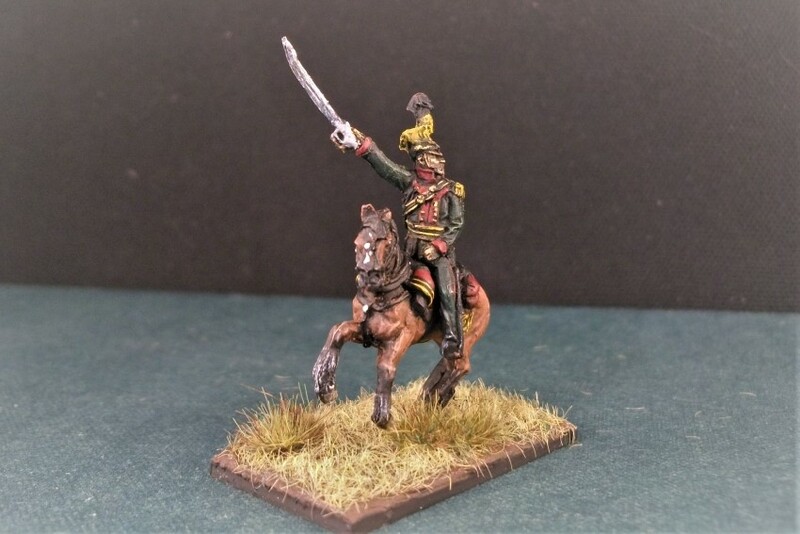 Thanks Michael - one reason I didn't use the HaT Brunswick cavalry set is that I don't have it and sadly I can't find any for sale any more? 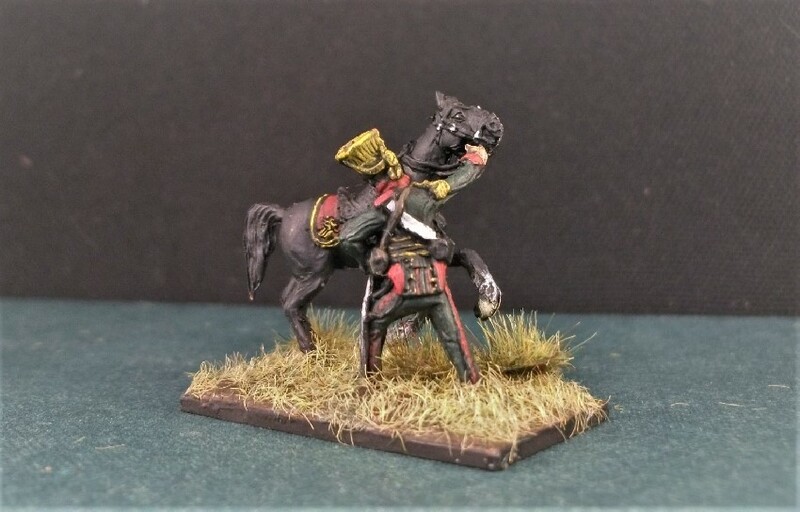 And I'd need three or four boxes to make a complete uhlan regiment as there are only 3 per box. That said, I was also attracted by the unusual poses of the Mars figures themselves. Beano Boy wrote: The biggest challenge I had with Mars figures was putting them back into their boxes. Where they stay to this very day. They almost scared me off too. But I persevered. 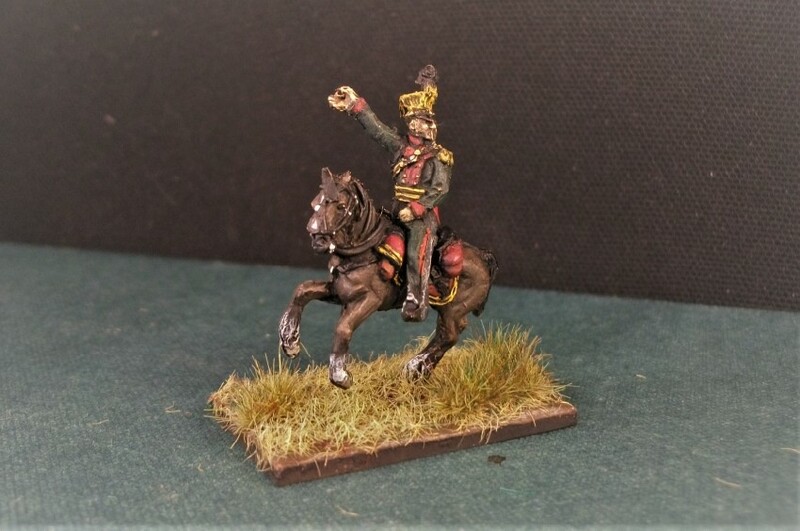 Marvin wrote: One reason I didn't use the HaT Brunswick cavalry set is that I don't have it and sadly I can't find any for sale any more? 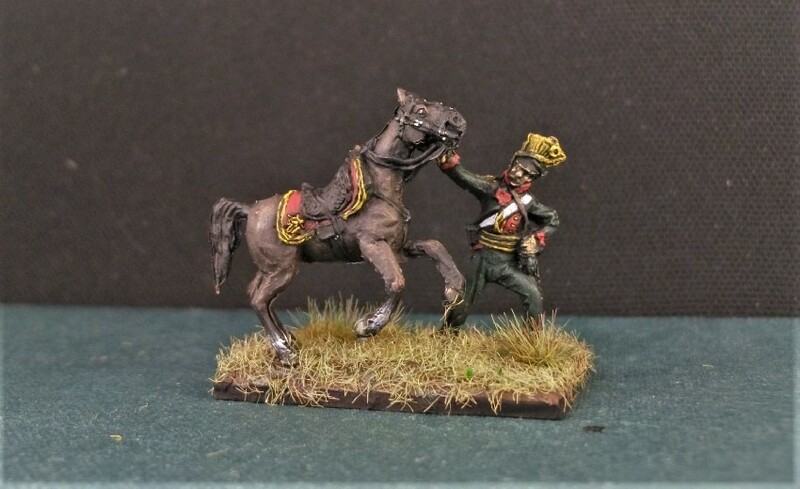 And I'd need three or four boxes to make a complete uhlan regiment as there are only 3 per box. That said, I was also attracted by the unusual poses of the Mars figures themselves. I wish I had four boxes of the set in question; if so, I would mail them to you, gratis, just to see what you could make of them. Someone in this forum probably does have a few lying around. C M Dodson wrote: You have performed a miracle in bringing these guys to the standard shown. Beano Boy wrote: The biggest challenge I had with Mars figures was putting them back into their boxes. These are gorgeous, you really have done something special with them. And I agree there are some very interesting poses here. 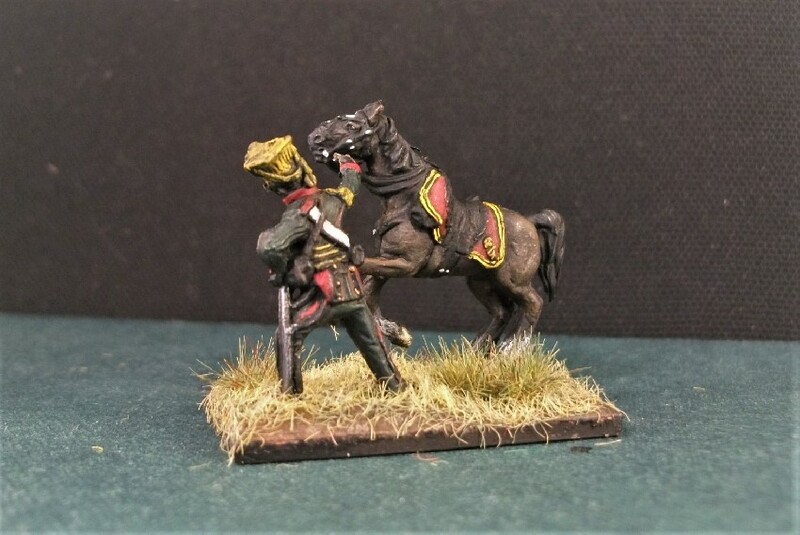 I like the wounded man, I think perhaps the man has been hit as well as the horse; I like the dismounted trooper trying to catch a passing horse; and I like the dynamic poses of the lancers. 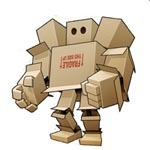 This set really could add some variety to a scene, but if you were trying to make a unit with it you'd probably wish for a few more normal poses. 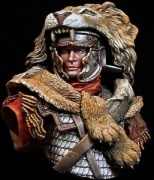 I wasn't familiar with this set, I don't usually look at Mars Napoleonic sets because I thought their Napoleonic ones were all dodgy knock offs. My first thought was that this looks like an unusually good Mars set, but I'm sure that's mostly down to your painting. I had a look at the original figures on PSR and realised that I must have seen these before because I remember the bonus sprue of extra flash. That is hilarious. Once again, great job on these. You've made me believe this is a good set. Graeme wrote: My first thought was that this looks like an unusually good Mars set, but I'm sure that's mostly down to your painting. I had a look at the original figures on PSR and realised that I must have seen these before because I remember the bonus sprue of extra flash. That is hilarious. Thanks Graeme! This is one of Mars' better sets in my opinion, as eccentric as it is. 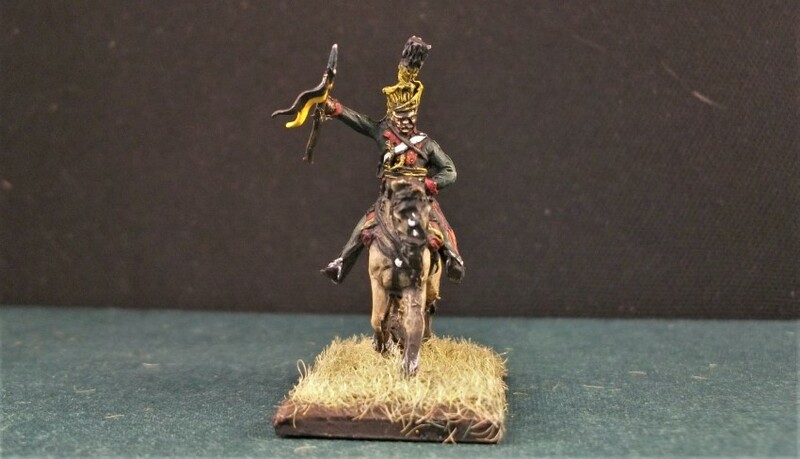 They've also produced Russian Uhlans for example, but that set somehow just doesn't quite have the same quality. 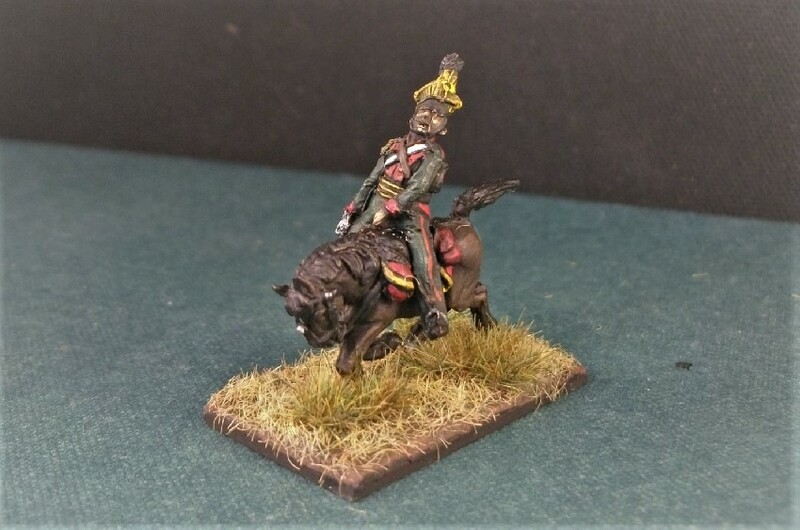 I just felt there was something about this particular release that would be worth including with my Napoleonic cavalry collection. Excellent painting figures from Mars!